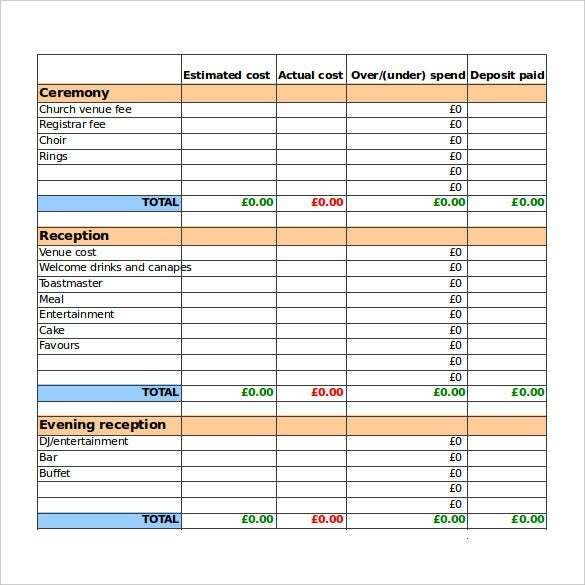 Wedding Budget Template – 13+ Free Word, Excel, PDF Documents Download! Wedding is a very special occasion in everyone’s life and making it a big fat wedding celebration is what every person dreams of! Have you figured out the expenditure on it? 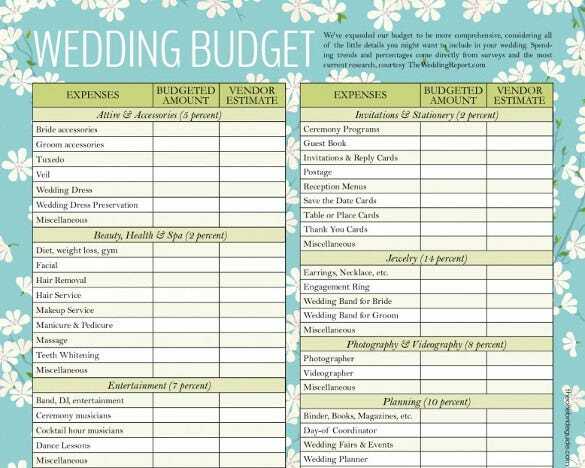 If no, then better start working on it with these wedding budget templates are designed for planning the most important day of your life. 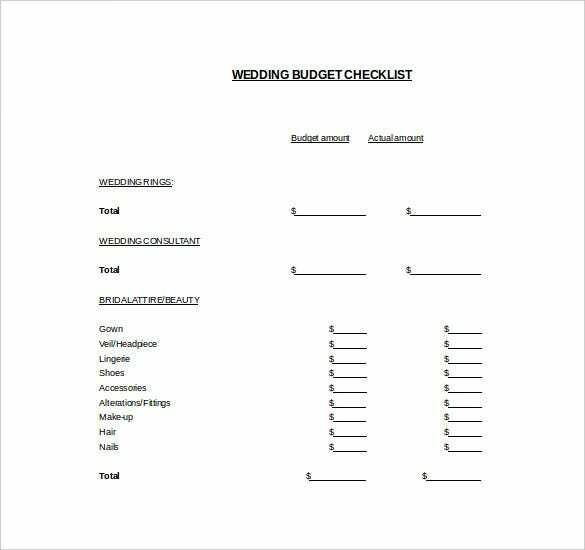 You Can also see Wedding Planner Templates What does a Wedding Budget Plan usually consist of? 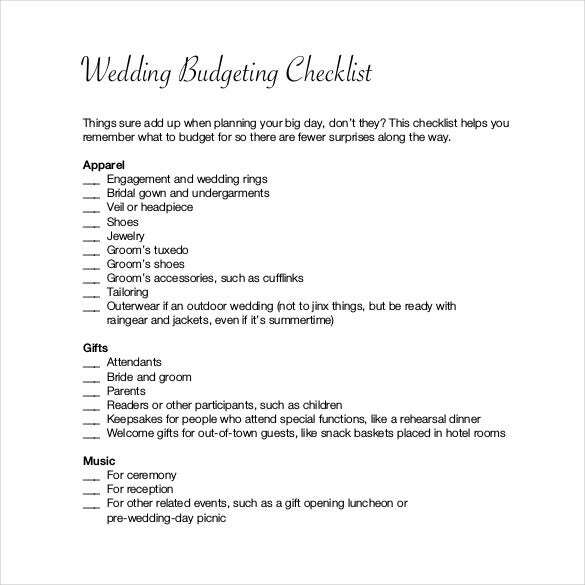 A wedding budget plan is designed based on the kind of wedding and the bride or groom’s necessity. 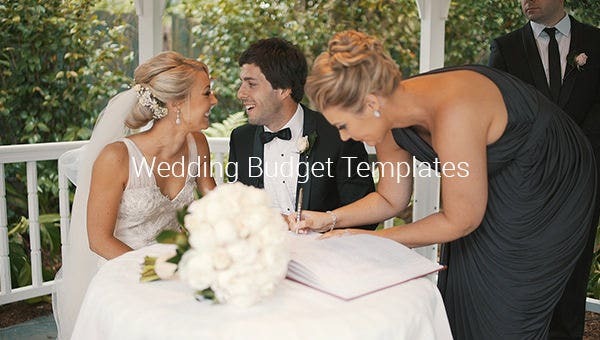 Before you download one of the wedding budget templates that we have got for free, you should know what a plan such as that is usually made up of. 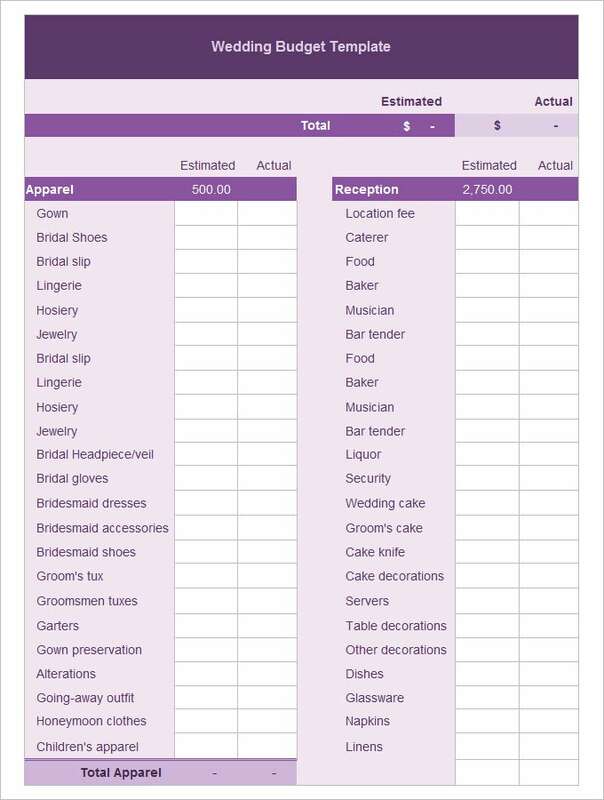 Here are all the components of a Wedding Templates listed out. 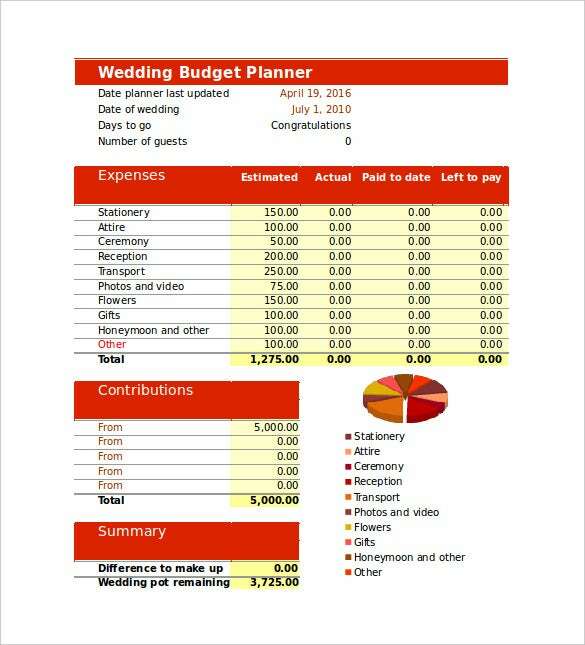 reddit.com | These budget templates are designed keeping in check of the all expenditures that occur in a wedding. 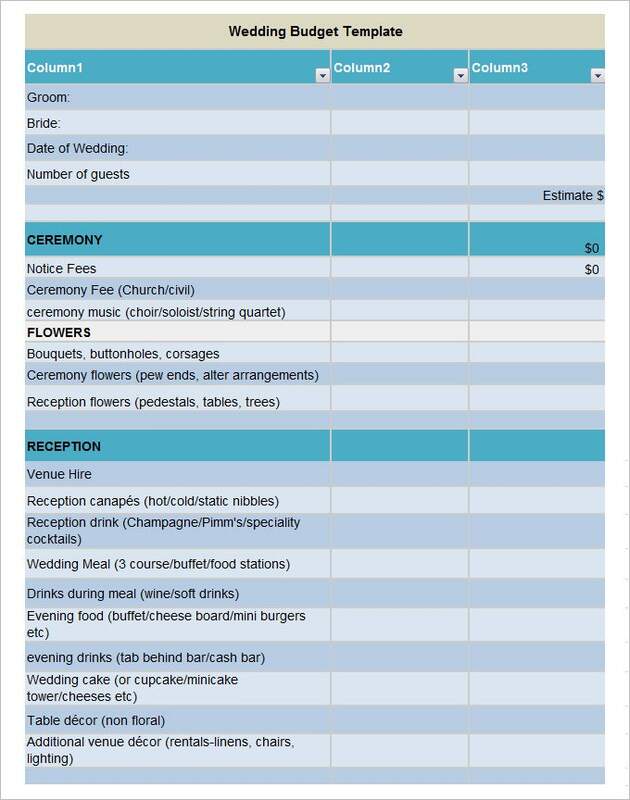 Such templates categorize the cost factor into estimated and actual expenditure thus making it easier to account for the excess budget that occurs during the ceremony. Further keeping a check on all the reception and entertainment cost makes these a perfect budget planner for economical class. marilees.com | Corporate marriages are mostly sophisticated marriages with systematic display of investment. Hence, the wedding budget planner is also more of a corporate style. Carrying details about all the specific investment and amount been spent ensures that not a single penny is been wasted. It also keeps a list of the person paying for the particular event to avoid future confusion. 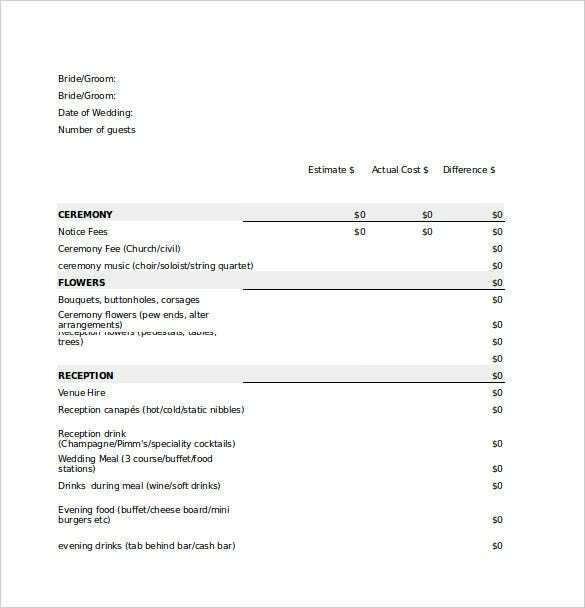 foodchannel.com | Such budget templates keep a checklist of all the expenditure that occurs during various ceremonies. These include cost of all the accessories of the bridge as well as the groom that are been spent on a marriage. Even these also includes the cost of all the bridal make-up that are been used for getting dressed on various events; thus, avoiding un-necessary expenditure. These are budget friendly wedding planner without much investment. Mostly suitable for economic class, ensuring each and every person enjoy to their fullest without much worrying about the money. Such templates ensure the event to take place in the most economical fashion possible without hampering the wish of the bridge or the groom. Such wedding budget templates are designed fulfilling each and every wish that a person wants to have in the marriage. Suitable mostly for those who believe in the concept of big fat wedding celebrations, these templates contain all the necessary arrangements to be made, thus ensuring to make this day a special one for the all the people present at the wedding. 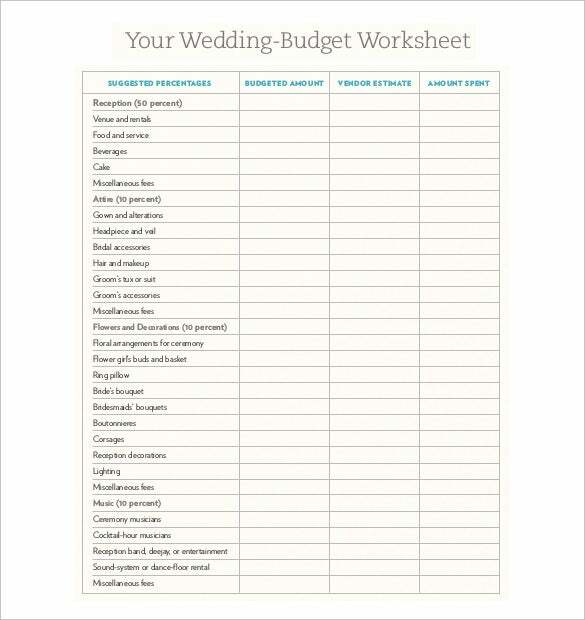 All the areas of the wedding that need spending on. A plan that is made so that the wedding takes place within a event budget plan. 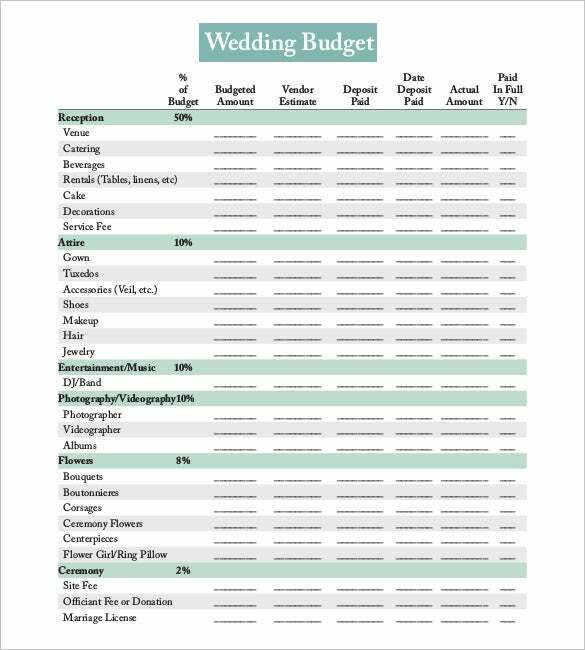 What is Wedding Budget Template? 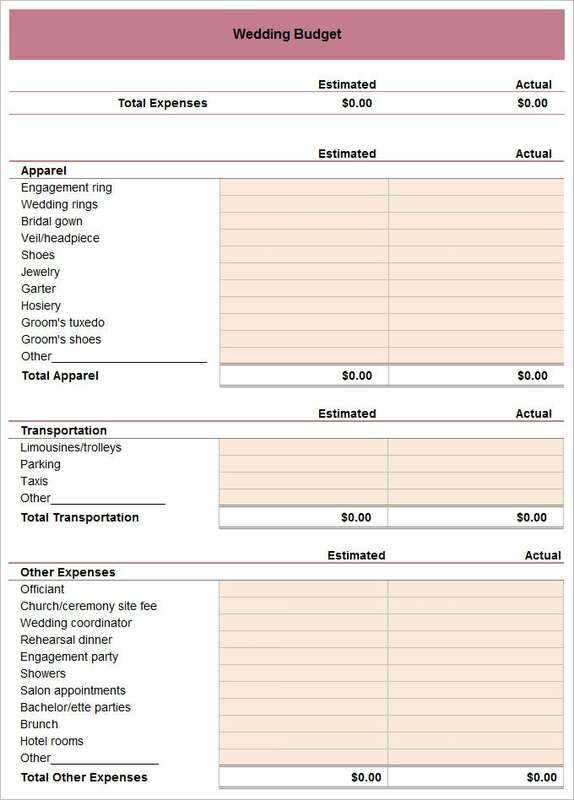 These are the checklist of all the expenditure that occurs in a wedding in a systematic order. Such templates are designed to help in organizing such event. Keeping a record not only makes them budget friendly but also avoids future confusion. 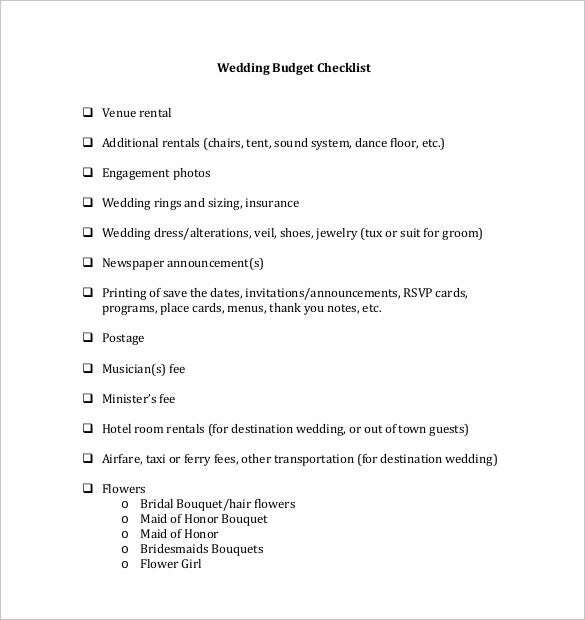 How to Make Wedding Budget Template? 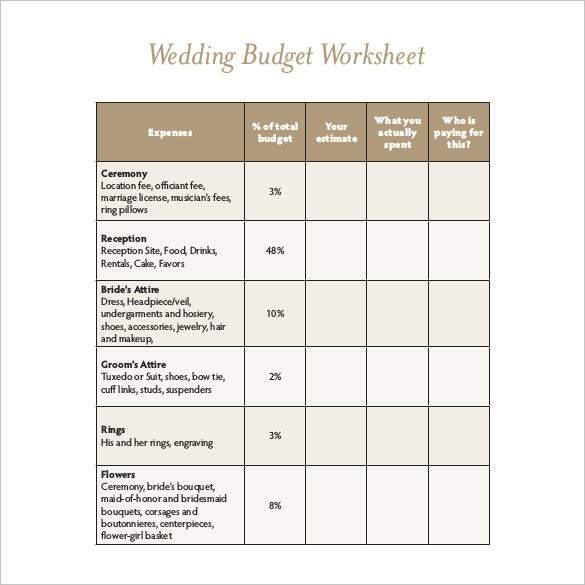 A wedding budget plan is designed based on the kind a bride or groom wishes for. Hence, an overall systematic arrangement ensures that this day is forever encrypted in their hearts. 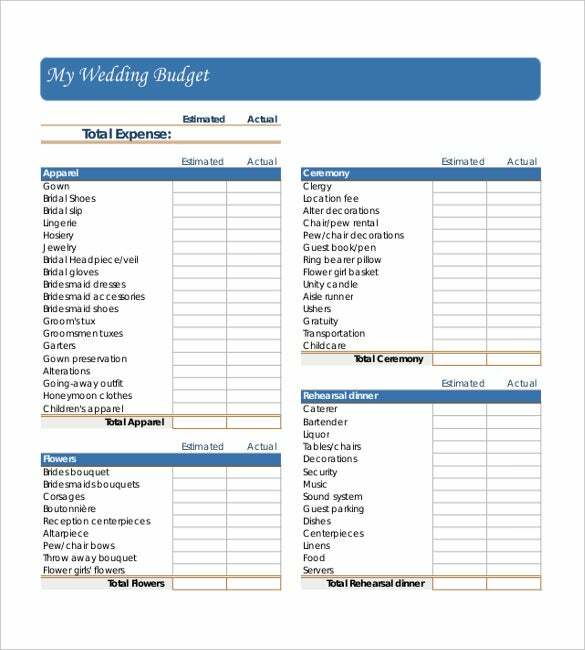 Wedding budget can be kept under a tap and yet made a memorable affair with proper planning; these wedding budget templates make your work easy and organized, not letting out anything for the last moment arrangement. If you have any DMCA issues on this post, please contact us!